"This song is gonna get stuck inside your head!" Learn how to make this super cute Unikitty cake! All supplies are included! Recommended for ages 5 and older. Sorry, no sharing cake kits! Teen LOCK IN Night! Friday April 26th 6:30pm-10:00pm Ages 13-17 ONLY. All supplies included for workshop stations. 1. Make your own fondant. 2. All about the frosting 3. Freestyle your cake. Pizza, and drinks will be provided. Fun, music, food, friends and cake decorating! Learn how to create these super cute Unicorn and Mermaid cuppies. Workshop includes all supplies and four cupcakes per student. This workshop is for kiddos ages 1-5 ONLY. Each student decorating must register. 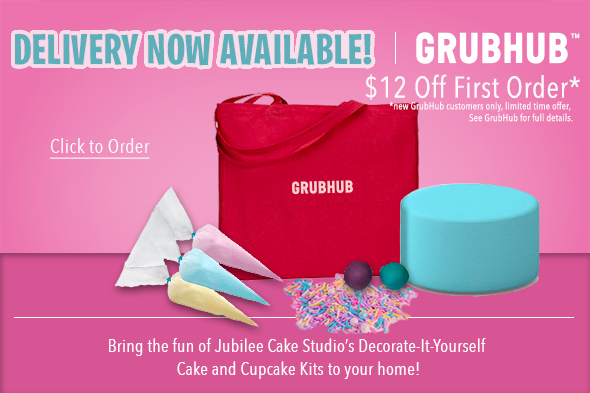 Sorry no sharing cupcake kits. Learn how to create this super cool 3D pancake CAKE! All supplies are included. Recommended for ages 5 and older. Sorry no sharing cake kits. You're all my very best friends! Learn how to create this super cute Rainbow Dash cake. All supplies included. Recommended for ages 5 and older. Sorry no sharing cake kits. Learn how to make your own unicorn cake! All supplies included. Recommended for ages 5 and older. Visit with a Stormtrooper and learn how to make this super cool cake. All supplies are included. Recommended for ages 5 and older. Sorry no sharing cake kits. I'm late, I'm late for a very important date. No time to say hello, good-bye,I'm late, I'm late, I'm late". Learn how to create this super cute Alice in Wonderland cake with appearances from Alice and Mad Hatter! All supplies are included. Recommended for ages 5 and older. Sorry no sharing cake kits. Mommy & Me birdcage cake! This class is for a total of FOUR members to decorate with "mommy". (Mommy and three other members total) All supplies are included. Learn how to create this super cool 3D gravity defying cake! All supplies are included. Recommended for ages 5 and older. Sorry no sharing cake kits. Ready for a rescue?! Learn how to make this super cool Marshall Paw Patrol cake. All supplies are included. Recommended for ages 5 and older. Sorry no sharing cake kits. "Sometimes the smallest things take up the most room in our hearts" Learn how to create this super cute Eeyore cake. All supplies are included. Recommended for ages 5 and older. Sorry no sharing cake kits. Grab your drinks and join us for a night of cake decorating! Learn how to create this super cute purse and make up cake! 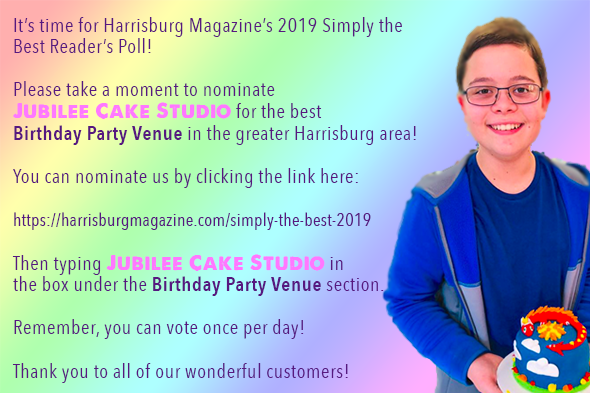 Please note: Jubilee Cake Studio can not provide or serve any alcohol. All alcohol must be provided by consumer. This is a 21 and older event, no minors will be allowed in. ID will be checked at the door. Learn how to create this super cool R2D2 cake. All supplies are included. Recommended for ages 5 and older. Sorry no sharing cake kits.